This is quite an amazing step up from the current model. But this is really, really nice. Of course, I realize we are probably looking at the most expensive loaded version. Still. You can load up a Fiesta or a Polo and it will never look like this. Sure, theere is again a huge tablet sticking out. But, just like the one inthe Explorer, it seems to bother me a little less. 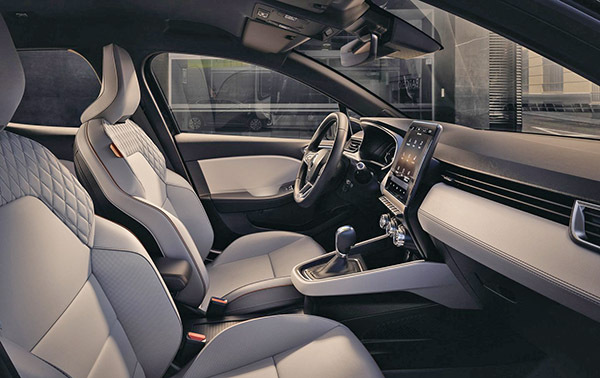 Somehow... Maybe it is the vertical arrangement which reminds me of the Model S? 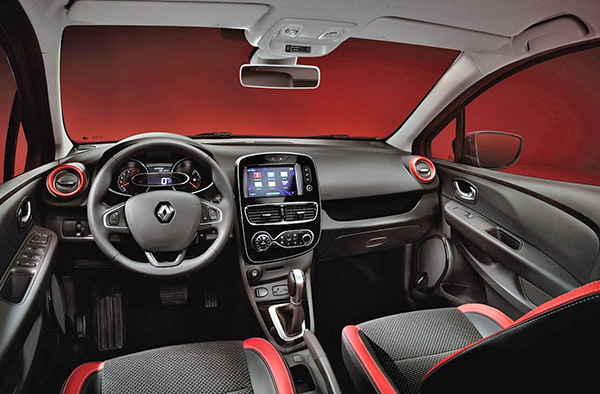 For those of us who have never seen one (which is most of us here in the US) here is the current interior of the Clio.